James L. Levy, MAI, ASA, MRICS :: Key Executives :: Appraisers and Planners, Inc.
James (Jim) L. Levy has been involved in commercial real estate valuation for over 45 years and is one of New York City’s best known, sought after and respected appraisal professionals. Over his career, he has been involved in major commercial projects valued in excess of 20 billion dollars. He holds MAI and SRA designations from the Appraisal Institute; the ASA designation from the American Society of Appraisers; and MRICS designation from The Royal Institution of Chartered Surveyors. All are awarded to business valuation professionals with advanced education and experience, often after rigorous testing, and who are considered to hold expert status in their field. Jim has been involved with many arbitrations serving both as an expert and arbitrator. He recently became a member of the American Arbitration Association (AAA) Panel of arbitrators. 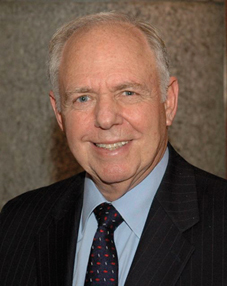 He has testified in more than eight hundred and fifty matters in New York State Supreme Court, Federal Bankruptcy Court, United States Tax Court (Samuel J. Lefrak vs. the Internal Revenue Service), New York Civil Court and various courts in the States of Connecticut, Missouri and New Jersey. Jim was appointed a panelist to the State of New York court system. He has completed course study and passed the examination sponsored by the Appraisal Institute entitled “Case Studies in Partnership and Common Tenancy Valuation”, an area of specialization. Additionally, for the past decades, Jim has attended The Philip E. Heckerling Institute on Estate Planning's annual five-day conference in which valuation of partnership interests is a consistent topic. Jim received a Bachelor of Arts in Economics from Rollins University and continued Graduate Studies in Real Estate at New York University. In addition to the aforementioned, his additional professional affiliations include the Westchester County Society of Real Estate Appraisers, Inc.; New York State Society of Real Estate Appraisers; Real Estate Board of New York (REBNY); and Westchester County Board of Realtors, Inc. In 2008, Jim was named Person of the Year by the Metropolitan New York Chapter of the Appraisal Institute, an honor awarded to an appraiser of exceptional expertise who has made notable contributions to the Chapter and profession. © 2010 Appraisers and Planners, Inc.